If you own a pair of Google Glass, don't be surprised if your best friends start bringing you gifts, offer to make your Starbucks run for you each morning or even hook you up with their younger sister or brother. 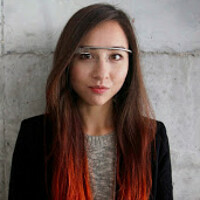 It is all due to Google's decision to allow some owners of Google Glass to select one friend that will be allowed to purchase the connected specs while it is still being tested in the Explorer program and not up for general sale. The friend you invite must be at least 18 years of age, be a U.S. citizen, and have the ability to pick up his or her specs in New York, Los Angeles, or San Francisco. This program is independent of #ifihadglass, according to Google Glass community advocate Sarah Price, although the friends invited to partake in the program will all have to pay the same $1500 that the 8000 winners of the #ifihadglass contest had to pay for their pair of Google Glass. 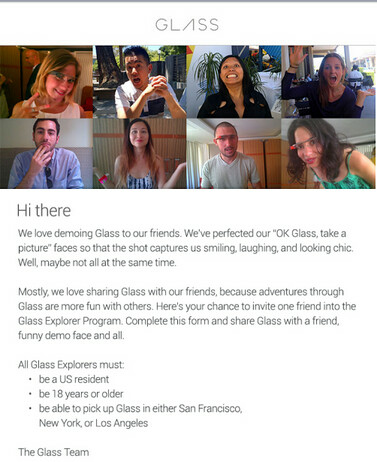 One person who received the email from Google to invite a friend into the program, said that the online form requests your pal's name and Gmail address, and a few words why you feel that this person would be a great addition to the Google Glass Explorer team. Now we are going to let you in on a little secret. If you love all the new attention that your friends have thrown your way, don't bother telling them that no more emails are going out and the 'invite a friend' experiment is now over and Google is no longer looking for new members to join the Explorer program. That means that your friends will have to wait for the retail launch of Google Glass, or for the reopening of the "invite a friend" program. As for you, if you keep your mouth shut you can still wrangle some favors from your unsuspecting pals. So this article is really a non-article? LOVE these articles.. hey guys, look what you can do.. NOT. This site is getting more frustrating to read/follow every day. I wonder if wendygarrett sent PA a pic to use for this article?